If you are looking to maintain the appearance of your home or introduce a period feel into our modern home, then our uPVC sash windows offer the perfect solution. Our vertical sliding windows give you classic style, authentic finishing and modern efficiency. With many houses in Britain still retaining their original wooden sliding box sash windows, and homeowners wanting to conserve the traditional appearance of their properties, our vertical sliding windows can help you take advantage of this profitable market opportunity. Our Spectus sliding sash windows have been designed to match the traditional look of a timber box sash window, whilst eliminating all the problems associated with wood such as rotting, warping and twisting. The Spectus sliding sash window will look fantastic in any setting thanks to a wide range of colours, finishes and glazing. Matching window to property has never been easier. Not only do our sliding sash windows look great but they are also hugely practical. They combine a tilt facility and lift facility for excellent functionality and easy cleaning from the inside. They are also available with a range of optional extras allowing you to achieve a custom look for any property. Our uPVC vertical sliding sash windows are built to slide vertically downwards and upwards. Traditional pulleys have been replaced with spiral balances and an advanced tilting mechanism to provide effective ventilation and ease of cleaning. Designed with a decorative sash horn for greater authenticity, our uPVC sliding sash windows will perfectly complement period style properties. We also offer astragal Georgian bars to further enhance your traditional look. A wide choice of coloured and foiled finishes, as well as being available in any RAL colour. We also provide Period window hardware in a choice of classic finishes. Thermally efficient (A rating) and highly secure, our precision engineered vertical sliding windows have been designed to deliver excellent performances and a smooth, effortless operation. Our uPVC sliding sash windows have been Kitemarked to BS EN 12608 and certified to PAS 24, as well as being approved by the British Board of Agrément. They conform to BS EN ISO 9001 and are recognised for responsible sourcing under BES 6001. Sliding sash windows accurately capture the essence of the traditional design, echoing both the appearance and the function of their timber counterparts. The designs we offer build upon this with modern features to offer a sliding sash design that achieves modern standards of heat retention, security, weatherproofing, durability and performance. 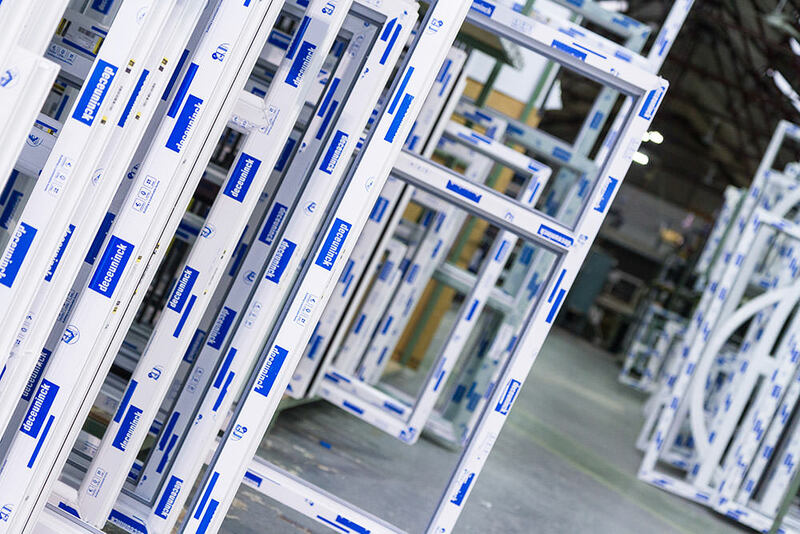 Our windows offer a range of customisable features to satisfy your customer requirements, all of which work in full compliance with all ‘off the shelf’ hardware. Whatever hardware requests your customers have, you can be sure that our products will be compatible. Also available to install are trickle or glazed in vents to provide increased performance for your customers. We have a comprehensive range of authentic colours which you can offer your customers. 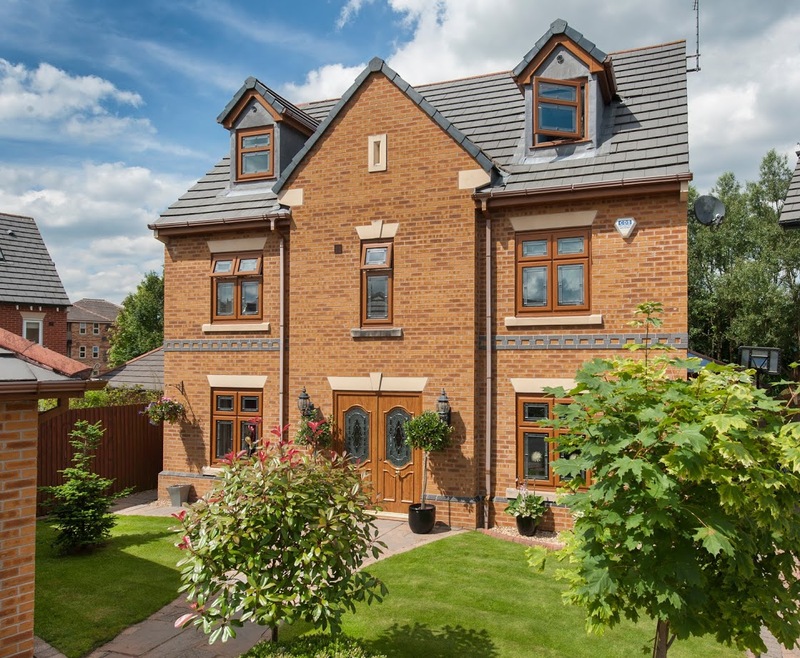 You’ll be sure to have something to suit the tastes of a wide demographic of homeowners, whether their property style is traditional, heritage or modern. This will help you to broaden your client base. Our windows offer a range of customisable features, working in full compliance with all ‘off the shelf’ hardware. This means that you can effortlessly tailor them to meet both your tastes and your budget. One of our Approved Installers will work with you to ensure your windows become the perfect fit for your home. We can also install trickle or glazed in vents for increased performance. You’ll be able to choose from a comprehensive range of authentic colours, which offer you the opportunity to decorate your sliding sash windows to complement the aesthetic of your home. This means that they can be expertly installed into a wide range of property styles, including modern, traditional, heritage and period alike. We’ll be able to accommodate for you. The Ovolo style frame, bead, sash and cill allows our sliding sash windows to achieve an exceptional attention to detail, allowing you to offer your customers a classic style that has been loved for generations. Our sliding sash windows are the modern choice for traditional charm, impressing customers with a premium product with traditional looks and modern performance. You’ll be able to please your customers by offering our range of optional Georgian bars, sash horns, weather bars and deep bottom rail. All of these are designed to provide the perfect period look. It’s never been easier to build your reputation with our sliding sash windows offering a consistently high standard of quality throughout the whole design. Offering a subtle charm throughout, our sliding sash windows also feature flush gaskets that are specially designed to mimic traditional glazing. This allows these windows to gain approval from many planning boards for use in conservation areas. These windows are sure to be an exceptional addition that will satisfy any customer. The Ovolo style frame, bead, sash and cill allows our sliding sash windows to achieve an exceptional attention to detail, allowing you to enhance your home with an addition that has been loved for generations. Our sliding sash windows are the modern choice for traditional charm, which means you won’t have to settle for anything less than the best. We also offer a range of optional Georgian bars, sash horns, weather bars and deep bottom rail. All of these are designed to provide the perfect period look. It’s never been easier to capture the perfect look for your property, with our sliding sash windows offering a consistent standard of quality throughout the whole design. Offering a subtle charm throughout, our sliding sash windows also feature flush gaskets that are specially designed to mimic traditional glazing. This allows these windows to gain approval from many planning boards for use in conservation areas. These windows are sure to be an exceptional addition to your property. Manufactured in reflection of modern standards, our sliding sash windows offer impressive standards of thermal efficiency. Their high performance profile works to increase the heat retention of your home, achieving an ‘A’ energy rating with 24mm sealed units. This ensures your home remains warm and comfortable throughout the year. Increased heat retention not only allows your home to get warmer and stay warmer for a longer period of time, it also allows you to see a reduction in your heating costs. As the performance of your central heating will be improved, you will rely on it much less heavily throughout the year. This will also allow you to reduce your carbon footprint simultaneously. To prevent draughts, we install pile seals to both the sash and outerframes. Draughts can be extremely detrimental to home comfort, and are well associated with outdated or inferior window designs. Our Approved Installers are well versed in professionally installing our sliding sash windows, meaning performance is guaranteed. Manufactured in reflection of modern standards, our sliding sash windows offer impressive standards of thermal efficiency. Their high performance profile works to increase the heat retention, achieving an ‘A’ energy rating with 24mm sealed units. This enables you to be able to offer your customers high performance products that they’ll benefit from year round. The increased heat retention not only improves heating system efficiency but will allow you to entice potential customers with the prospect of saving money. Project your business as an eco-friendly company, installing environmentally friendly products that help homeowners reduce their carbon footprint and reducing environmental impact. To prevent draughts, we install pile seals to both the sash and outerframes. Draughts are well associated with outdated or inferior window designs. Your customers are sure to be satisfied with the home comfort that a draught free property will bring, when your company installs our high performance products. Available in a choice of wood grain foils in traditional colours, our vertical sliding windows perfectly complement both heritage and modern buildings. They can also be specified in dual colour, with a different finish inside and outside. Choose from White, Cream, Irish Oak, Light Oak and Rosewood laminated foils. The authentic look of our windows is further enhanced by features such as the deep bottom sash rail, Georgian bars and decorative horns, as well as period hardware in a choice of finishes. Contact us today for a free sash window quote. Sternfenster offer unbeatable sash window prices for both retail and trade, get in touch to find out more.